Overview: A former assassin turned bodyguard seeks revenge for the kidnapping of the young girl who helped him find meaning in his life. 2004; Rated R; 146 minutes. The Opening Act: Casual movie-goers seem to love revenge flicks. The subgenre is entrenched in the DNA of second rate movies. The film industry is always ready to offer an appeasement for the vengeance fantasies that exist in our culture’s collective consciousness. Man on Fire breaks this standard in its opening act. We know John Creasy (Denzel Washington) to be a violent man by our introduction to his backstory, but we meet him first as a broken spirit. We spend forty five minutes, a virtual movie within a movie, watching his recovery at the influence of his nine-year-old client Pita Ramos (Dakota Fanning). Compare that to Taken, a movie in which the kidnapping is immediate and the revenge starts seconds later. In the time period it takes Man on Fire to become an action movie, Liam Neeson would have killed 1/3 of Europe. In this stretch, Pita is so likable and Creasy’s recovery such an engaging process, that viewer emotion syncs with those of Creasy’s character. Even as we realize Creasy’s deteriorating physical condition and the terminal implications in his pursuit of revenge, we consent to both his murderous brand of justice and his dying. There is a recognition here, painted by Catholic imagery, a spiritual score, and dialogue exchanges touching on divinity, wherein the viewer realizes that this journey is a religious one, at the least a final act of penance and toeing the line of martyrdom. The Man: When it comes to screen intensity, Washington is irreproachable. He brings to Creasy a controlled fury. Scenes of confrontation are nerve-wracking yet cathartic. He provides the wrath we crave along with a dose of seething ferocity that could not be anticipated. Director Tony Scott and cinematographer Paul Cameron utilize sharp light and bright color saturation to express the psychological fragmentation of a man spiraling to the bottom a second time. The Fire: This is a movie in love with two things: its own violence and Christian ideas of retribution. It is likely that some Christians will leave offended by this pairing. Those familiar with the Bible, however, will find it a natural combination. Certainly, the movie is memorable for its innovative revenge sequences (I’m partial to the recto-bomb), but it would be dishonest if we weren’t to acknowledge the command of the dialogue and the silence. Radha Mitchell is remarkable as Pita’s grieving mother Lisa Ramos, and the moments after Lisa discovers her husband’s involvement in the kidnapping provide what might be the film’s most powerful scene. 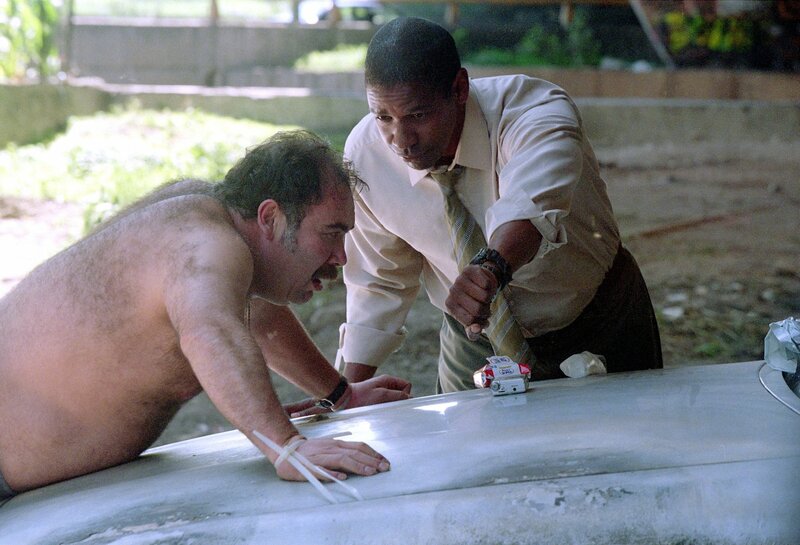 Overall: Exemplary in its performances, steeped in violence, and visually innovative, Man on Fire is a must for fans of unstoppable action heroes (think John Rambo). With patience and slight liberties taken with a basic Hollywood template, Tony Scott has provided an action movie that both defies and outperforms the genre.